The UCF College of Medicine will celebrate the healing power of creativity on Friday September 9, with artistic displays and discussions of how art helps patients heal and cope with illness. The event is centered around “Everyday Miracles: Medical Imagery in Ex-Votos,” a traveling exhibit from the National Library of Medicine, that is on display at the college’s Harriett F. Ginsburg Health Sciences Library. The display features ex-votos, small paintings that gave thanks to saint or deity for a medical miracle. 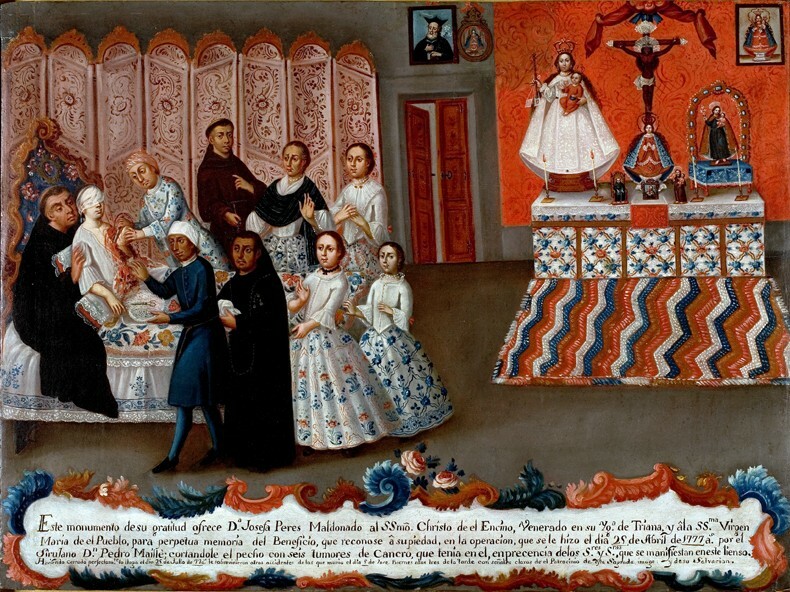 These paintings, started in Italy in the 1600s, were introduced to the New World by Spanish settlers in Mexico, where they are still created today. As folk art, they give us a chance to view illness and healing through the eyes of everyday people. At 1 p.m. on September 9, guest speaker Robin Glazer, president of The Creative Center, will discuss her work incorporating art and medicine. Robin is a breast cancer survivor and her center runs programs in more than 20 New York City hospitals where artists work with patients – from children to the elderly – to use their creative resources as they undergo medical treatments. The center recently developed a similar program at MD Anderson Cancer Center Orlando. At 2 p.m., Margot Knight, president and CEO of United Arts of Central Florida, will facilitate a panel discussion on art and healing. Panelists will include Dr. Clarence Brown, III, president of MD Anderson Orlando and other health care professionals and patients who have used art during medical treatment. The discussions will be held in the College of Medicine Auditorium, room 102. Following the discussions, the Health Sciences Library will host a display of “healing art” created by College of Medicine faculty, staff and students as well as “Art under the Microscope,” a traveling “Bioartography” quilt exhibit from the Society for the Arts in Healthcare.